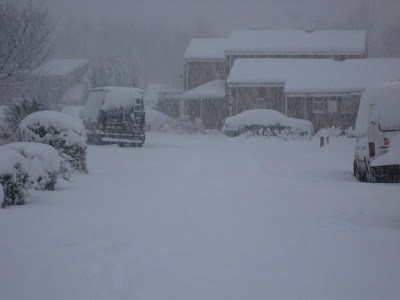 Last Monday morning we woke up to a heavy snowfall which to the rest of Europe would have been regarded as a mere smattering, but bought havoc to the usually snow free South of England. No snow ploughs, no grit on the roads, absolute chaos. The authorities said that if your journey was not really necessary then do not travel and stay at home. 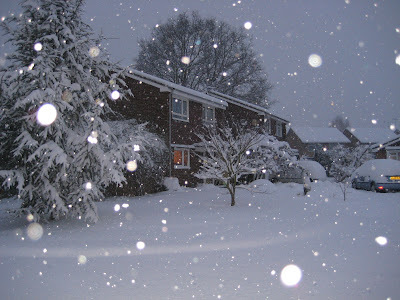 The schools were closed so the children were at home so (very reluctantly of course!) i decided to take a day off work and stay at home too (who am i to go against the authority's wishes). 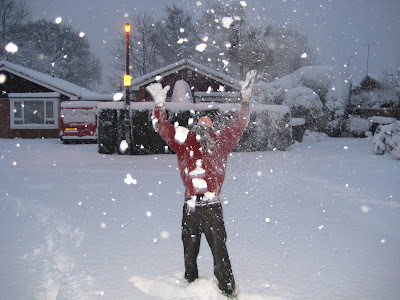 Anyway, snow always brings out the child in me, so within a few minutes me and the thirteen year old were outside throwing snowballs and taking photographs. 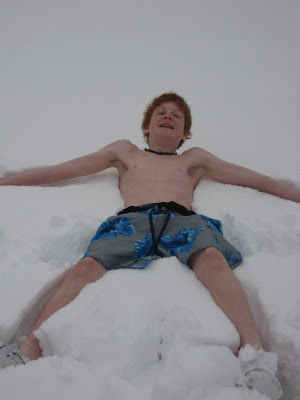 Believe it or not this was the deepest snow that the thirteen year old had seen so for him it was quite an experience. For me it was wonderful just watching him enjoy himself so much. 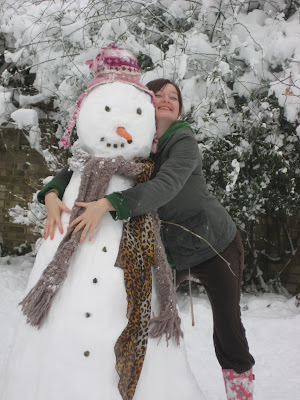 After a while i began to feel the cold and went indoors for a hot drink and some warmth and was replaced by my wife and daughter who set about building a snowman (as you do) on the front lawn. I have to admit that they made a pretty good job of it. 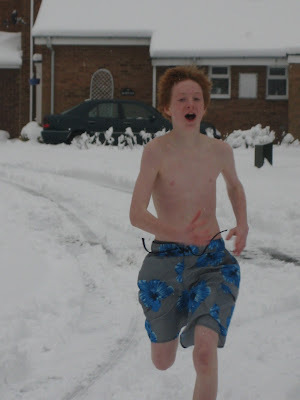 The youngest son, who was still outside then declared that he wanted to strip off and run in the snow, presumedly to prove his manliness (is that a word?) or to perform some ancient rite that thirteen year olds have to do. Later during the morning the snow stopped and the daughter's boyfriend arrived. Upon hearing of the youngest son's exploits they decided to get in on the act and take photographs of themselves so they could show their friends. Personally i think Facebook has a lot to answer for!